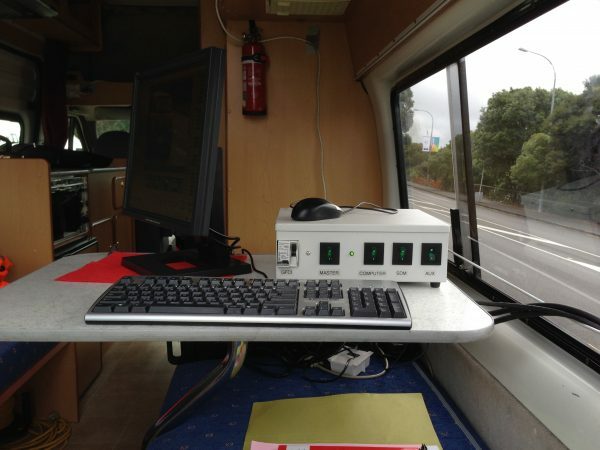 Home › News › How is vehicle air pollution tested? How is vehicle air pollution tested? Equipment that measures a vehicle’s speed and the quantity and type of its exhaust emissions while under power driving up a hill is used to measure how pollution behaves in the air. Each site is clearly marked, and there is no obstruction to traffic (i.e. vehicles don’t have to stop). 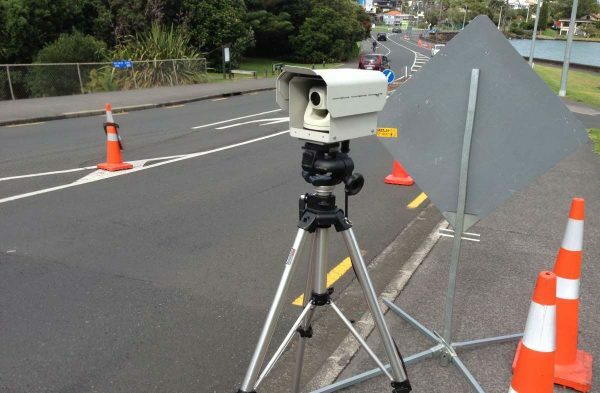 The vehicles’ licence plates are captured by a camera so that the data can be correlated with the vehicle’s age and type. 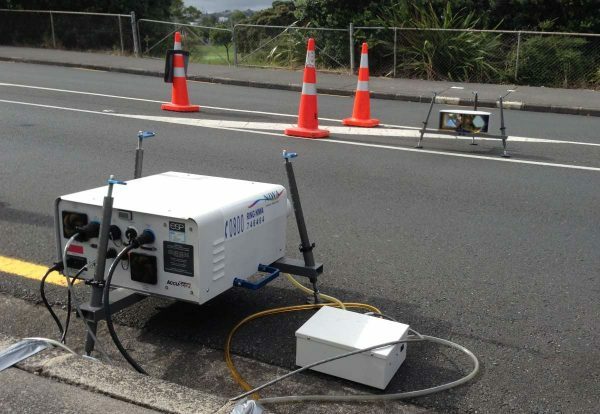 NZTA has an ongoing testing programme to monitor emission levels and how they change over time so that it can determine strategies to help reduce pollution that affects people’s quality of life, and the environment. Inside the van, where we weren’t allowed to take photos apart from the one below, was a large amount of monitoring equipment with graphs showing various air pollution metrics. Air pollution is estimated to have a social cost of $935m per year due to increased deaths, hospitalisation and restricted activity days. Despite vehicles becoming more and more efficient over time, it will take many, many years for the entire vehicle fleet to be replaced with newer, less-polluting vehicles because average vehicle age is around 14 years old. 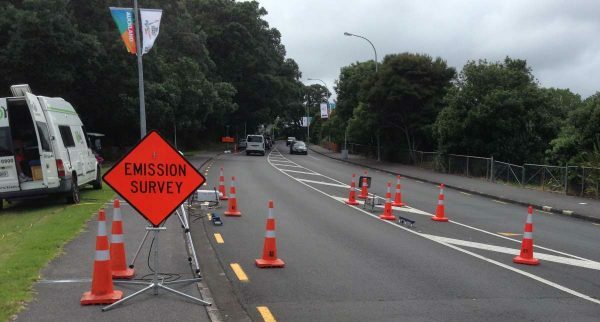 There is more information about NZTA’s transport and air quality projects on this website.